The 13th-century gatehouse is all that remains of the original castle overlooking the picture-postcard village of Dunster. The medieval castle was gradually renovated as a stately home in the 17th and 19th centuries. 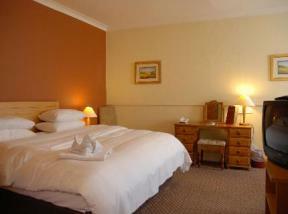 The castle offers wonderful views west towards Exmoor and north to the Bristol Channel. 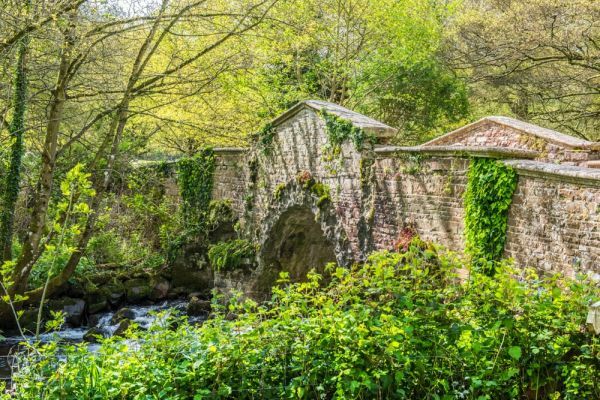 This high, conical hill on the fringes of Exmoor has been occupied for over 1000 years and has been the home of the Luttrell family for over 600 of those years. 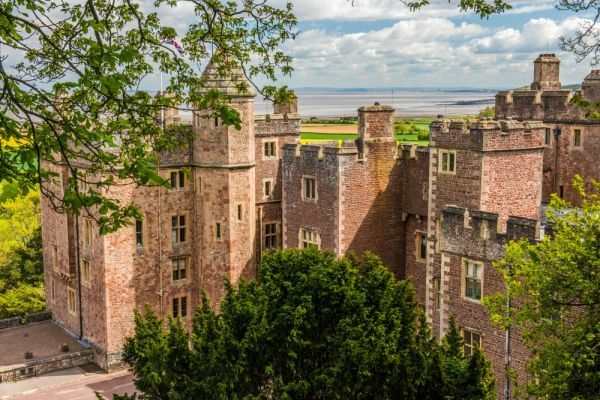 Fully 21 generations of Luttrells have lived at Dunster, but the original Norman fortress here was erected by the Norman lord William de Mohun, who was granted estates at Dunster after the Battle of Hastings. The natural hill was perfect for a traditional Norman motte and bailey fortification. The first defences were simple earthworks, but in the early 12th century William's son, also named William, added stone fortifications. In 1139 supporters of King Stephen tried to take Dunster but failed. A 13th century Mohun, Reynald II, added a stone gateway leading to the lower ward. This is the oldest surviving part of the castle today. The Mohuns held the estate until 1376 when it was sold for 5000 marks to the Luttrell family, who have held it ever since. Beginning in 1571 the castle was transformed into a luxurious mansion by William Arnold, on behalf of George Luttrell. Arnold's patron was not happy with the result and accused Arnold of poor workmanship. Poor or not, it was certainly an expensive project, costing 1200 pounds rather than the original 462 pounds estimate. One feature surviving from Arnold's work at Dunster is the plasterwork ceiling of the inner hall. The Luttrells did not have long to enjoy their new home. At the outbreak of the Civil War the castle was held for Parliament, but after resisting an attack, the garrison switched sides and supported the Royalist cause. Led by a Colonel Wyndham, the Dunster garrison held out for 5 months against a Parliamentary siege until finally surrendering in 1646. The medieval defences were slighted by Cromwell in 1650, but the Jacobean mansion was left untouched. In 1680 Francis and Mary Luttrell added the wonderful staircase panels that are a highlight of a visit today, as well as a new plasterwork ceiling in the dining room. In the 1860s architect Anthony Salvin was called in to transform the house yet again, this time into a picturesque country home. Salvin built towers for the dining room and drawing room and created a comfortable residence for a Victorian gentleman and his family - all on a cut-rate budget of 20,000 pounds. Of the medieval castle, only the outer gatehouse remains, approached through a Tudor stables. The gatehouse was built in 1420 by Sir Hugh Luttrell, and guards an inner gate built in 1278 by Reginald de Mohun. Reginald was also responsible for the curtain wall that surrounds the bailey, but only fragments of this wall remain. The Norman bailey is now a forecourt to the 17th-century mansion. Within the forecourt is a ruined semi-circular tower from the original medieval castle, but all else is a later addition. A path leads to the top of the Tor, where the shell keep once stood, but it has all been transformed into a landscape garden now, leaving only tantalising glimpses of the original castle. 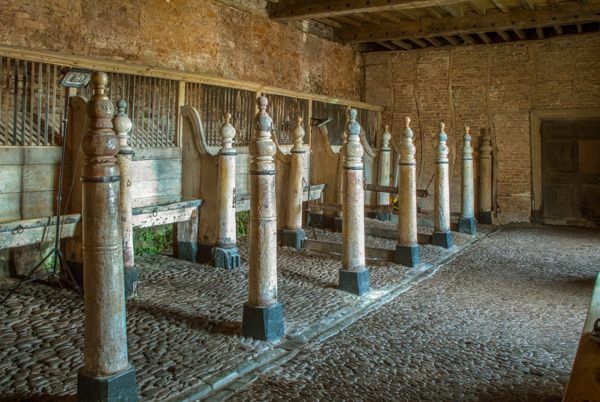 One of the highlights at Dunster is the wonderfully carved staircase, made of oak and elm and beautifully decorated with hunting scenes. Each panel of the staircase was carved from a single piece of elm, and the effect is simply stunning. The sloping hillside to the south of the castle has been transformed into a sub-tropical garden, arranged on terraces. Here you will find the 'Dunster lemon', a direct descendant of the first lemon grown at Dunster during the Victorian period. 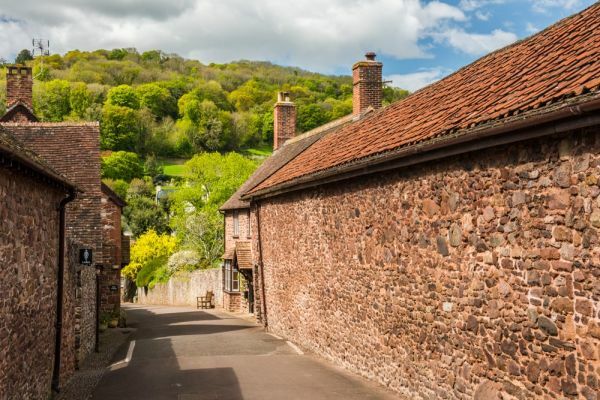 If you really want to arrive in style at Dunster, you can board the Dunster Express steam train on the West Somerset Railway, which runs between Bishops Lydeard and Minehead. 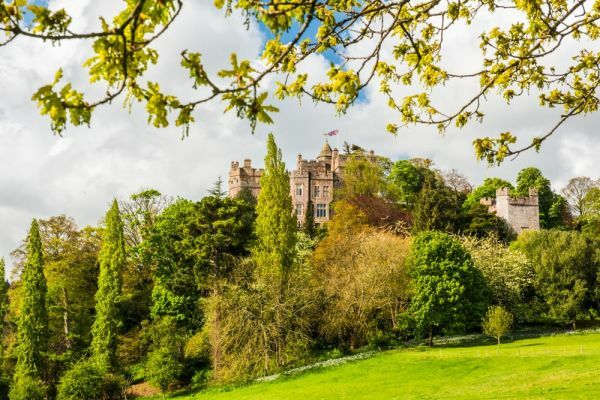 The train runs daily from April-November, and there is a special shuttle bus between Dunster station and the castle. 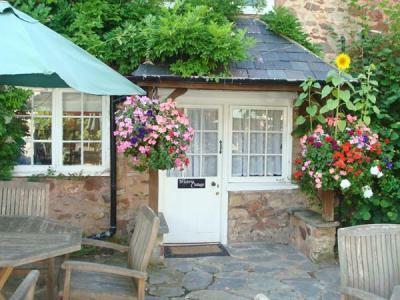 I've visited Dunster on 3 occasions, and it is just about the prettiest village you'll ever find. 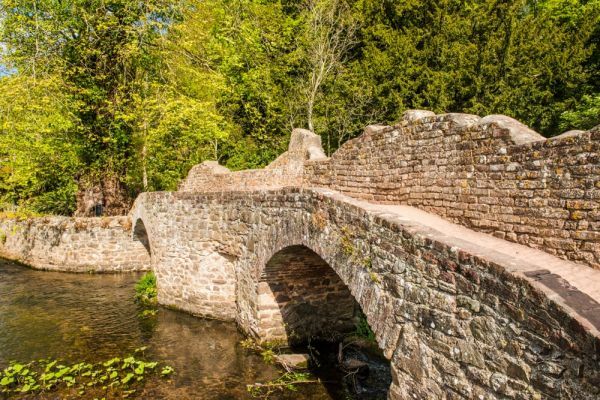 There is so much to see, from an ancient packhorse bridge to a medieval preaching cross and picturesque yarn market. 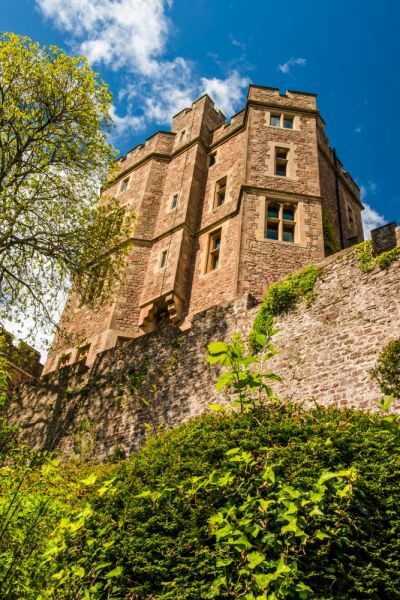 But the castle dominates Dunster, and it truly is one of the most impressive sights in the south west of England. I can't wait to go back! 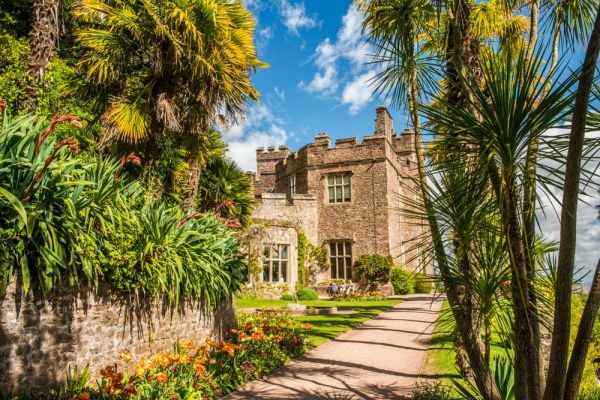 Garden: Dunster, home to the National Collection of Arbutus, may also be noted for its terraced gardens with subtropical plantings including palms and citrus specimens. 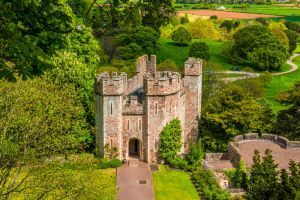 Dunster Castle has original 13th-century gatehouse and fine interiors.